Finding a good accountant can be a minefield. The challenge becomes harder if you are just starting up your first limited company. We understand how difficult it can all seem, we understand that you are probably worrying about how you will balance the accounting and payroll commitments in addition to dealing with your day-to-day workload. The good news is that, with over 10 years' experience and proven systems, Tempo have the right solution for you and your company. The challenge most "business start-ups" and "new contractors" face is knowing which way to turn, it is often difficult to understand which accounting solution is best when you're starting out. That's why our services flex and change with your working needs. It's time to remove your accounting worries, a quick no obligation call, quote and discussion of your options will put those fears to rest. All you need to do is send us your details and we will call at a time that suits you or, if you prefer, you can call us directly. Reduced Fees for iCalculator users (a whopping 20% off). Mobile App and Web App for emailing your receipts - no need to post! Fully compliant PAYE Umbrella solution. Same day payments every Friday with text notification of payment received and paid. Claim expenses via your phone. No hidden fees, setup costs or minimum contract period. Easy transfer to our Limited Company service where you can increase your take home to over 80%. Industry leading web-based and mobile software that allows you to raise invoices, track tax, run payroll, generate VAT returns and sign-off accounts with ease. Our accounting solution is all about you and your life. We combine the latest accounting technology with experience, compliant accounting practice to deliver the ultimate in portable, scalable accounting. Our existing clients love the flexibility of tracking their finances on the move, catching expenses as they generate them and the reduced hassle afforded by our professional review and submission of your accounts to HMRC. Who knew accounting could be so simple. It's the question we get asked most. The truth is that it depends on what your salary, contract length and career plans are. Our accounting solution allows you to start with umbrella payroll accounting and change to a limited company accounting solution at any point that suits you, or go from limited to umbrella. What makes our solution work for you is it's flexibility. We deliver accounting solutions to meet your specific needs. We also support and provide telephone / email advice as and when you need it. We don't don't apply additional charges for changing services. I'm Interested - What do I Need to do Next? It's simple, take 30 seconds to complete the enquiry form below and we will get back in touch at a time that suits you. Alternatively, you can call 0203 137 9246 and speak to a member of our friendly accounting and payroll team will be delighted to help you. Quote iCalculator Accounting to ensure you are connected to the right team and receive the reduced fee as negotiated by iCalculator (20% permanent reduced fee on advertised rates) . 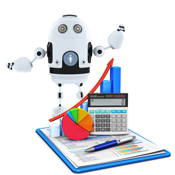 Here are a collection of some of our other finance calculators.